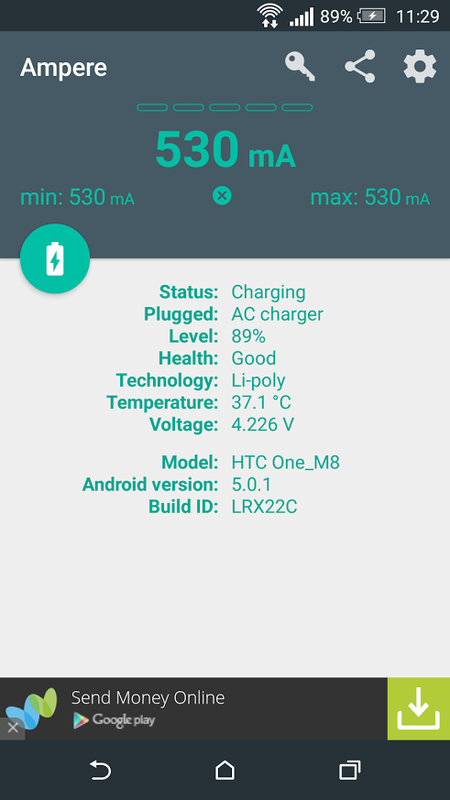 Ampere doesn't worked with the HTC M8. Until now... And here is the description how to use it. 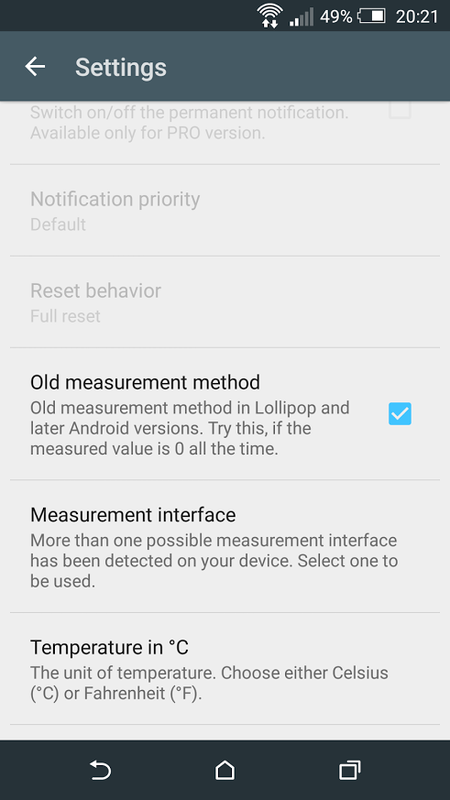 After the App is started, you will realize, that the App shows 0mA, which is because the Lollipop interface is broken for most HTC devices. If you wait a few seconds, the app will ask you whether you would like to use the old measurement interface. You can say yes, or you can just select the same option in the settings menu. After the "Old measurement method" is selected, please open the "Measurement interface" selector and select the third interface (like in the picture on the right). That's it. 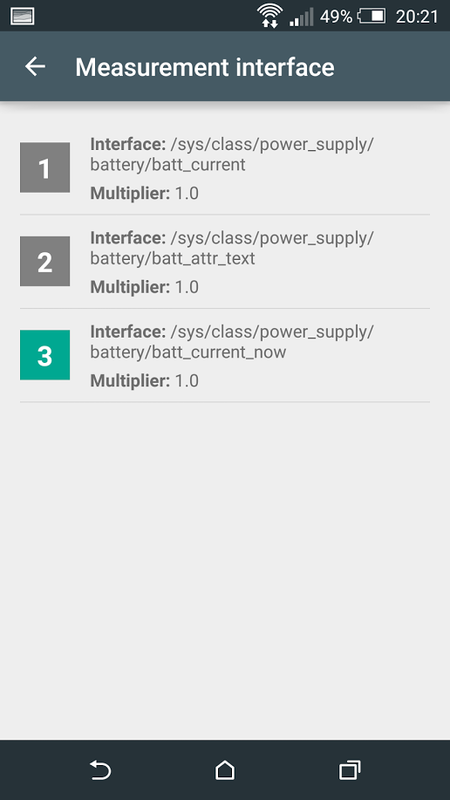 Now Ampere should show the charging current. A last issue still exist. Because the firmware reports "not charging" instead of "discharging" in case that the charger is not connected the discharging current will be not shown. While it is sad, it is not tragic. This is unfortunately a firmware problem. Maybe it will be corrected in the next firmware upgrade.